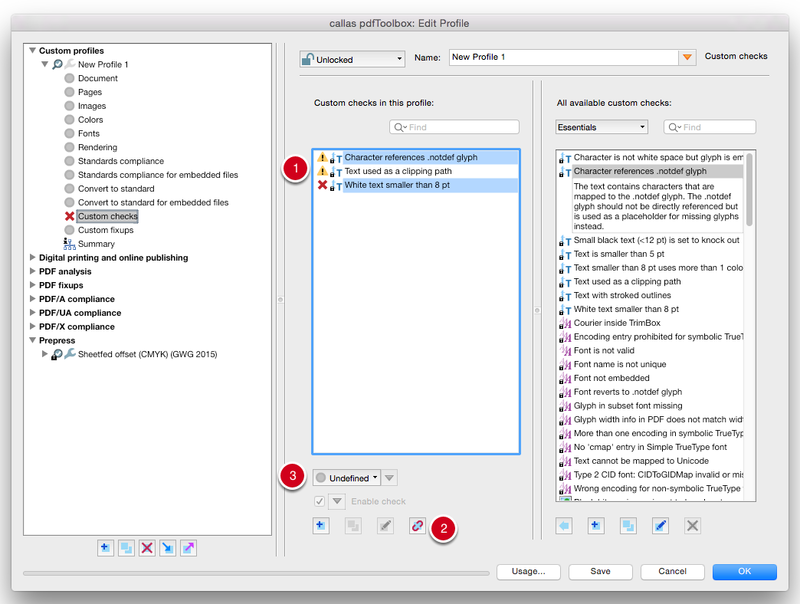 When you edit a profile, you can select multiple Fixups or Checks, deleting them all at once or adding more. When setting up or modifying a profile, you can select and then delete (or change, or add) multiple Checks or Fixups at once. To do so, simply select the desired Checks/Fixups in the desired column by pressing and holding Shift (for consecutive items) or Ctrl (for non-consecutive items). You can then Add / Delete the selected items. When selecting multiple Checks at once, you can also change the message type (Info, Warning, Error) for all of them at once.